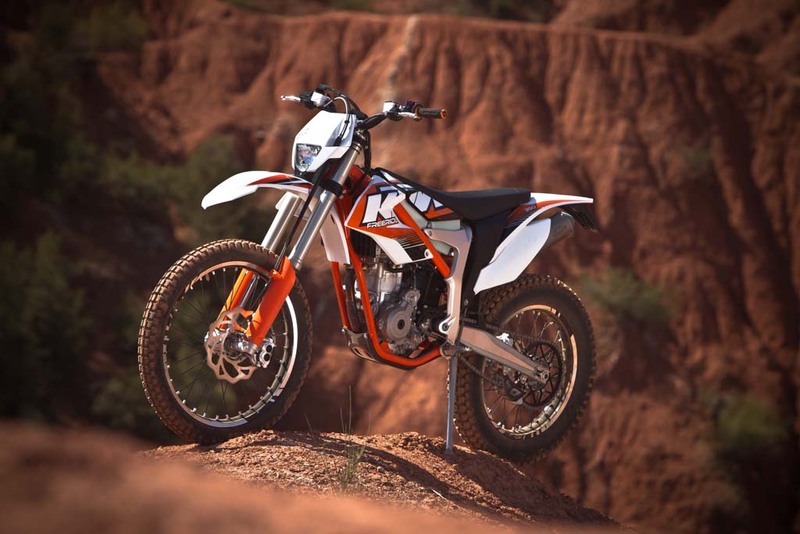 The KTM Freeride 350 has cleared emission certification testing in the U.S. including the state of California, getting approval from both the Environmental Protection Agency and the California Air Resources Board. 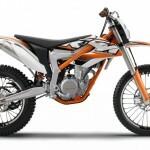 A leaked powerpoint slide from KTM’s North American dealer meeting in 2011, listed the Freeride 350 for 2013 and they may still happen. 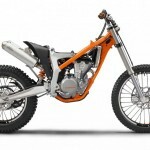 The lightweight entry-level off-road model has been certified by both bodies for the 2013 model year though the Freeride 350 has yet to be officially announced by KTM for the U.S. An announcement may soon come now that the Freeride 350 has completed testing. 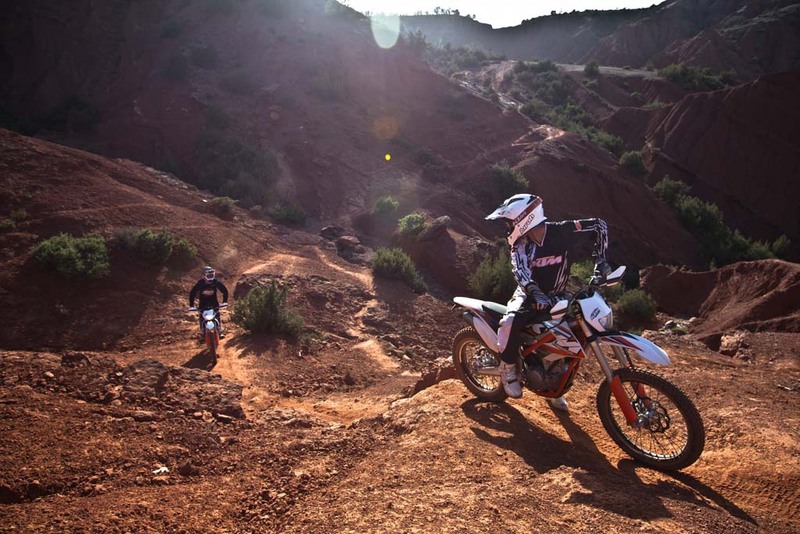 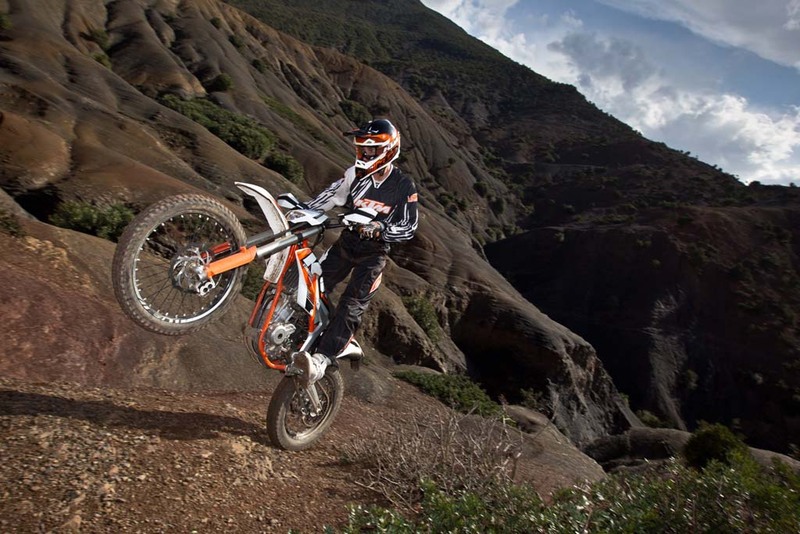 Unveiled at the 2011 EICMA show in Milan, the KTM Freeride has been available in Europe since April 2012. 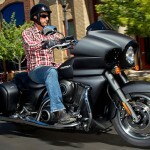 One of its most notable features is the claimed weight of 222 pounds, without fuel. 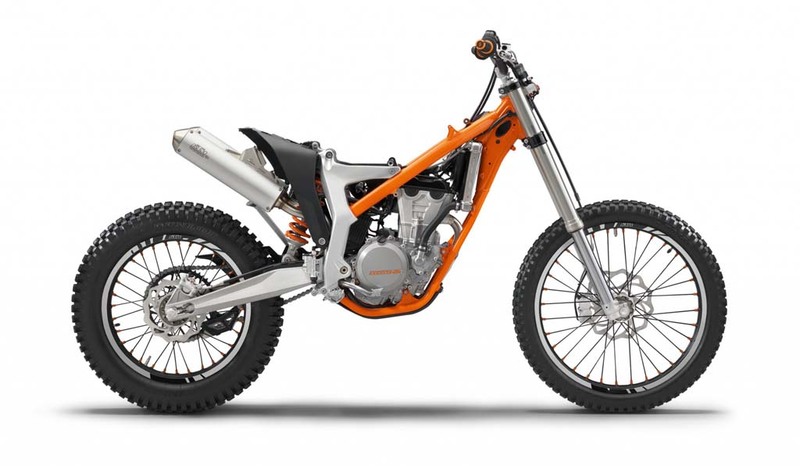 The fuel-injected engine is based on the powerplant of the KTM 350 EXC-F, but ditches the kickstarter and adds a new lightweight die-cast aluminum engine case. 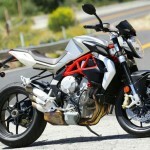 The exhaust and airbox have also been modified to provide more torque. 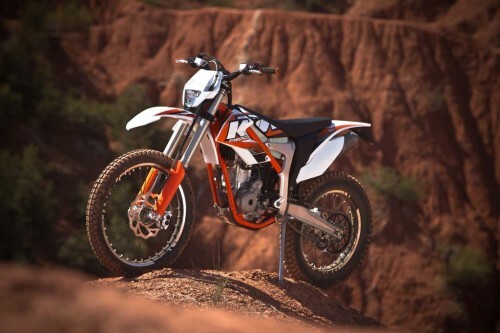 Both the EPA and CARB list the KTM Freeride 350 as producing 22.8 hp at 7500 rpm. 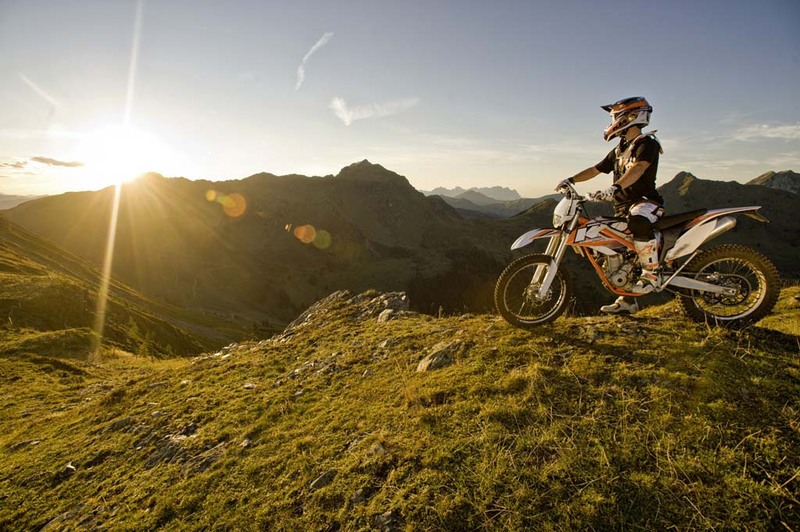 The electronic engine management system offers multiple mappings, allow riders to choose to optimize fuel economy or performance. 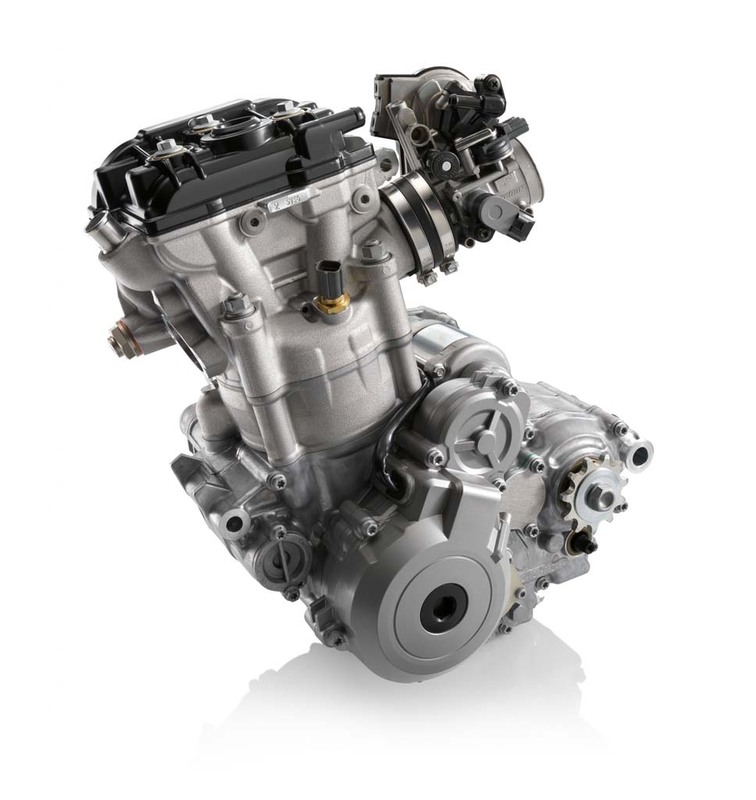 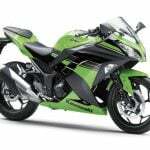 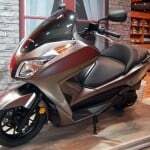 The engine is mounted in a composite frame design comprised of chrome-molybdenum steel with forged aluminum elements. 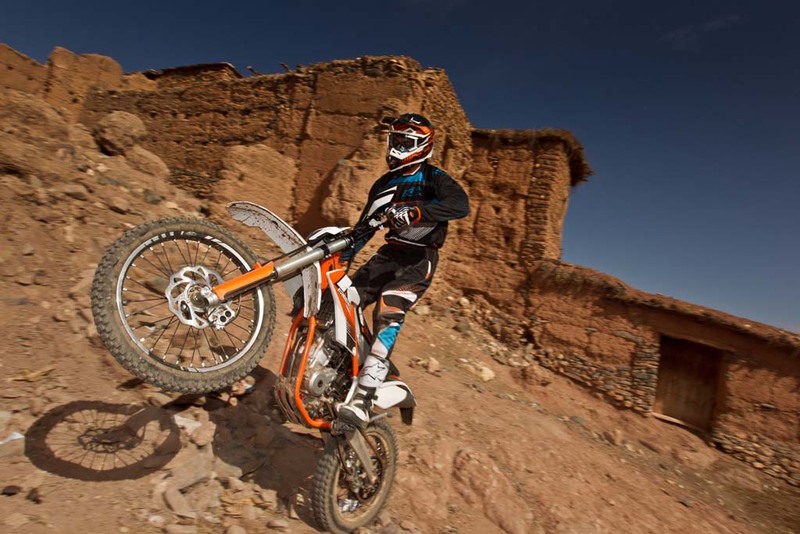 According to KTM, the frame provides stability and safety while helping contribute to the Freeride 350’s light weight. 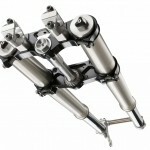 Also helping keep the weight down is the high-strength plastic subframe. 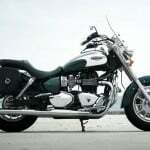 The 18-inch rear and 21-inch front wheels feature CNC-machined hubs and aluminum rims to provide further weight savings. 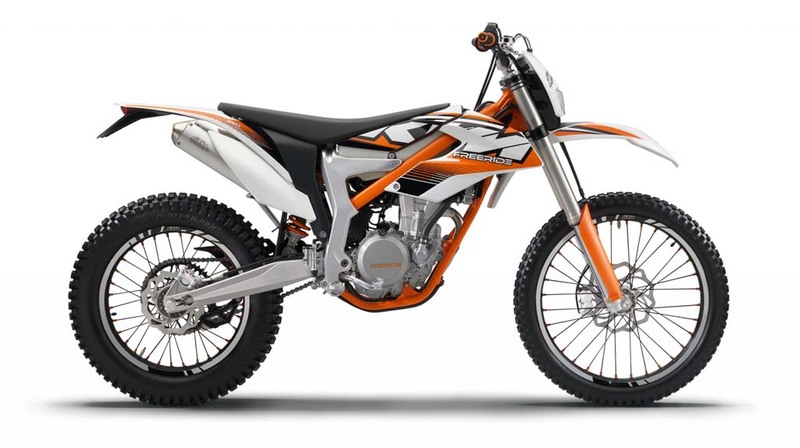 Like other recent KTM models, the Freeride 350’s 1.45 gallon fuel tank is made of transparent plastic, making it easy to check the fuel level. 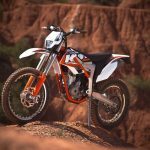 Suspension is comprised of a 43mm upside-down WP fork offering 250mm of travel and a linked PDS rear shock absorber offering 260mm of travel. 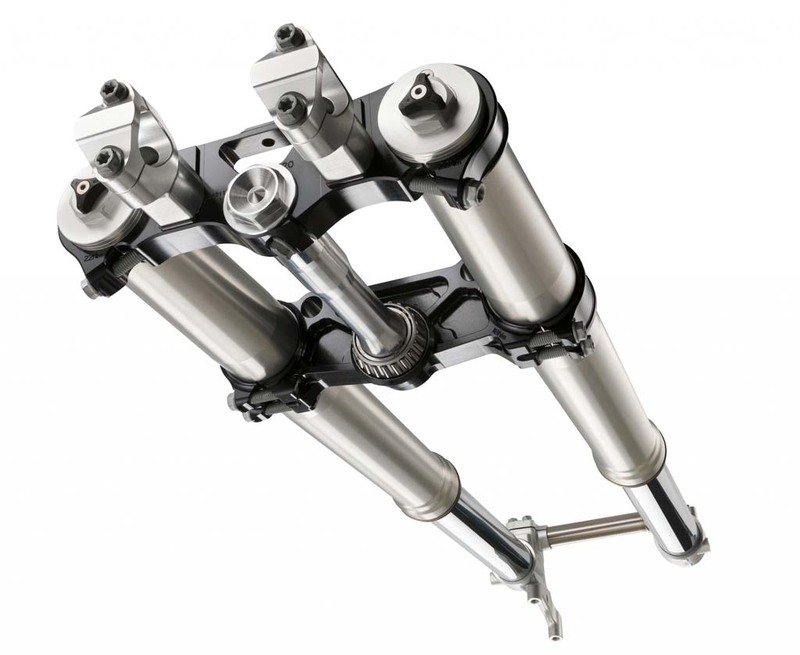 The fork offers rebound and compression adjustments while the rear suspension offers high- and low-speed compression damping adjustment. 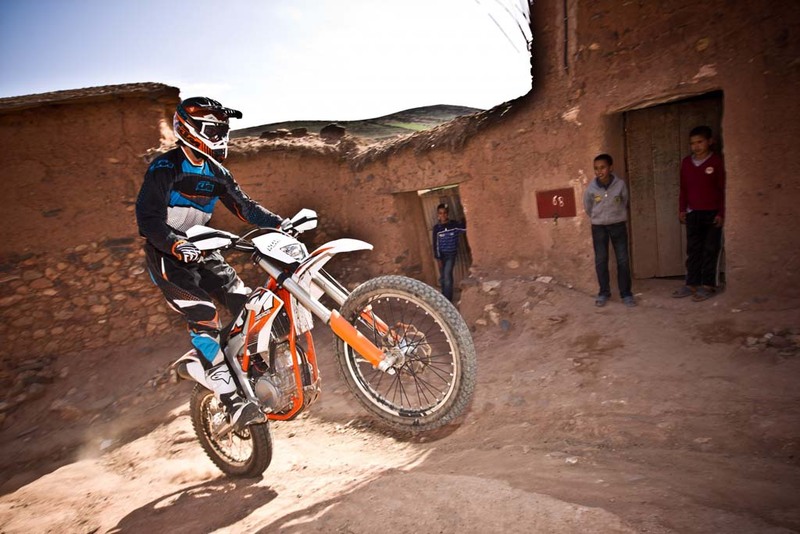 The seat is long and slender to allow for freedom of movement, and the seat height is just 35.2 inches making it easier for shorter or inexperienced riders. 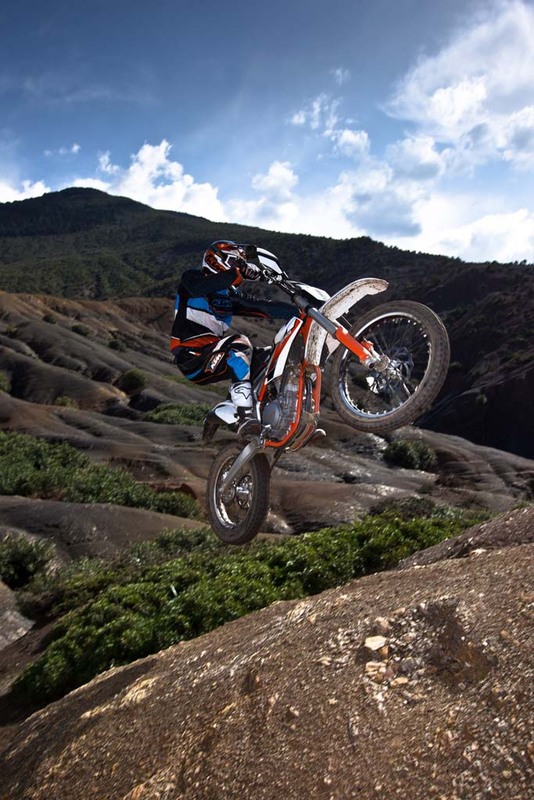 By comparison, the KTM 350 EXC-F seat is 38.1 inches off the ground.